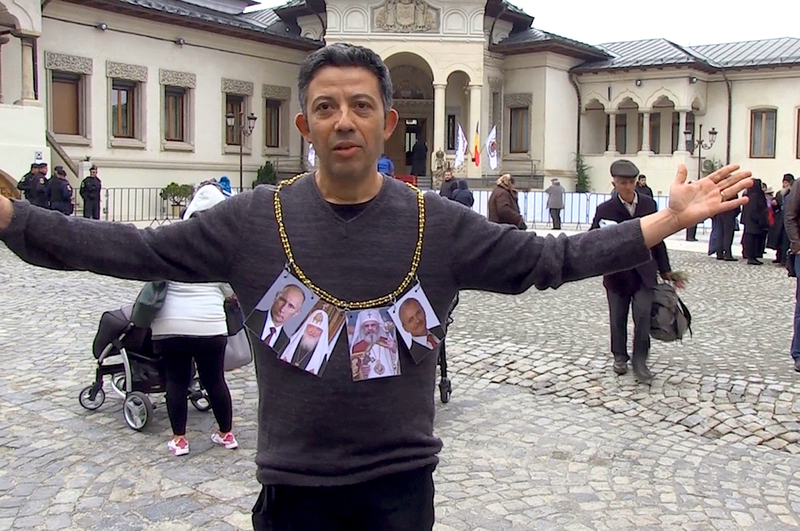 Protest on my mind: why did one performance land a Romanian artist in psychiatric hospital? Performance and censorship have an intertwined history. It is not that long ago, after all, that every British theatre script had to pass by the office of Lord Chamberlain for licensing before it reached the public. In communist states more renowned for their censorial attitudes, like Czechoslovakia, Poland and Hungary, performance artists had to undergo a series of tactical diversions in order to create political satire, camouflaging their actions or limiting their audiences, whether onstage or on the street. 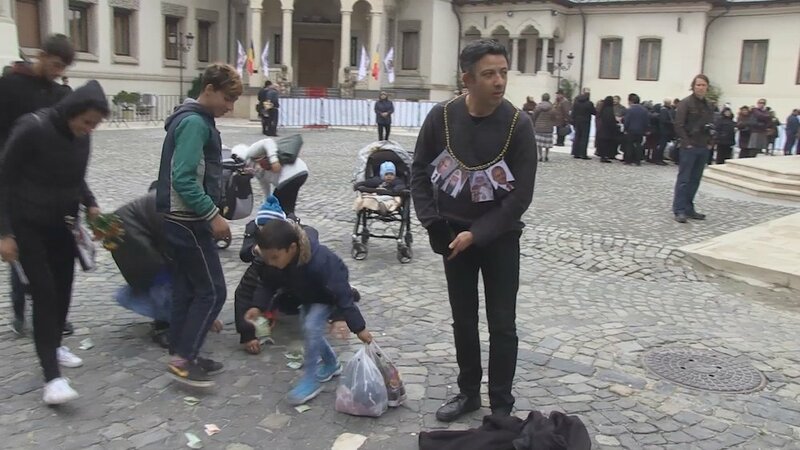 But in Romania things were different, with performance artists staying silent in a way that still affects the current status quo in the domestic art world. 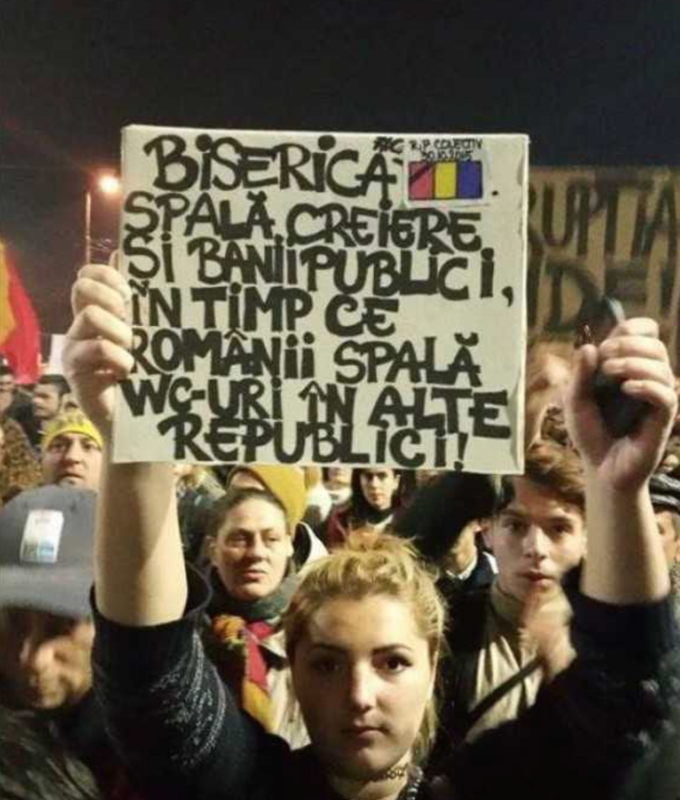 Submissive, opportunistic and cowardly are some of the adjectives used to characterise the cultural so-called resistance during the Ceaușescu regime. And the present is not that different, with most of the abuses inflicted by the dominant powers — even those happening in art’s own backyard — off the agenda for most artists. One of the reasons is a lack of solidarity. 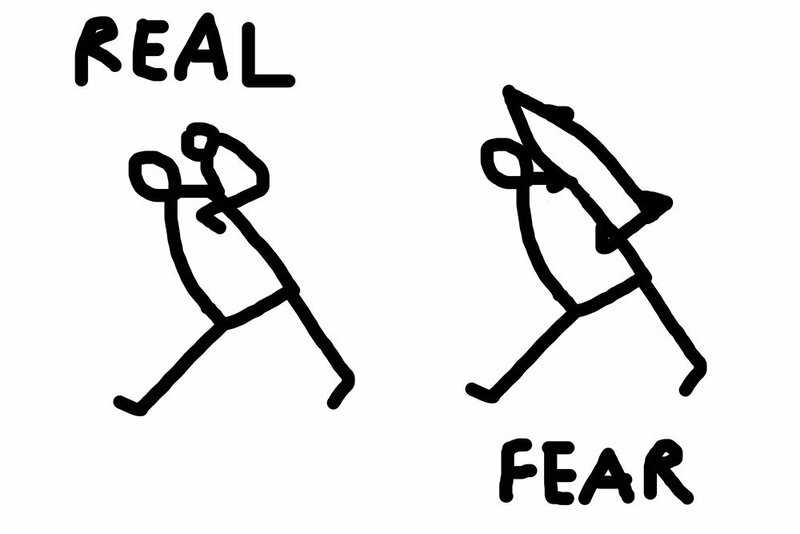 Another is an embedded fear of authority. 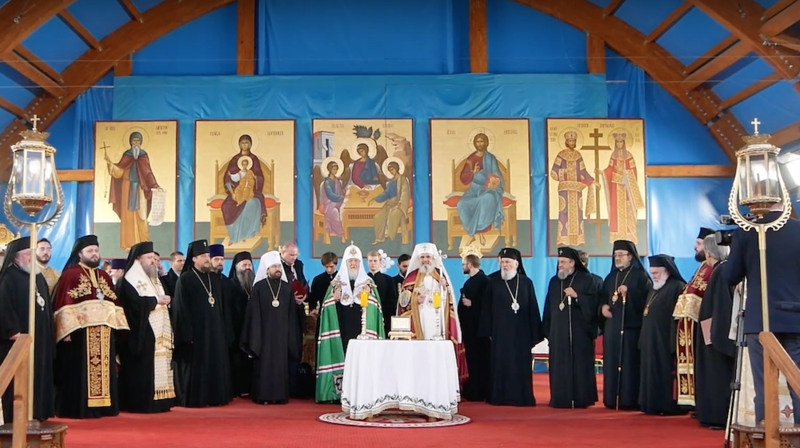 These are being challenged more and more, though, and the recent protest action by Alexandru Solomon in front of the Orthodox Patriarchal Church demonstrates how art works politically to precipitate broader debate. Solomon was first taken to the police station. There, in a worn-out room with religious icons on the walls, he was told that it was a criminal offence to carry any kind of weapon at a public gathering. No one seemed to accept that Solomon had been engaged in an artistic performance, the filmmaker recalls. He called his lawyer and spent around three hours in the police station. Then he was put in an ambulance and sent to the public psychiatric hospital, Alex Obregia. The psychiatrist, a senior doctor, dismissed any possible artistic or political reading of the performance staged by Solomon, the filmmaker recalls. Solomon tried to explain his intentions, but, he says, “the doctor seemed even more impenetrable than the police officers”. During the hours spent there, he could see patients restrained on stretchers brought into the hospital. Representatives of the hospital did not reply to our requests for comments. Eventually, Solomon was released under the signature of his wife who had to promise that she would not allow him near the Orthodox Cathedral. The release form concludes he is mentally healthy but, at the same time, diagnoses him with “adaptive disorder”. 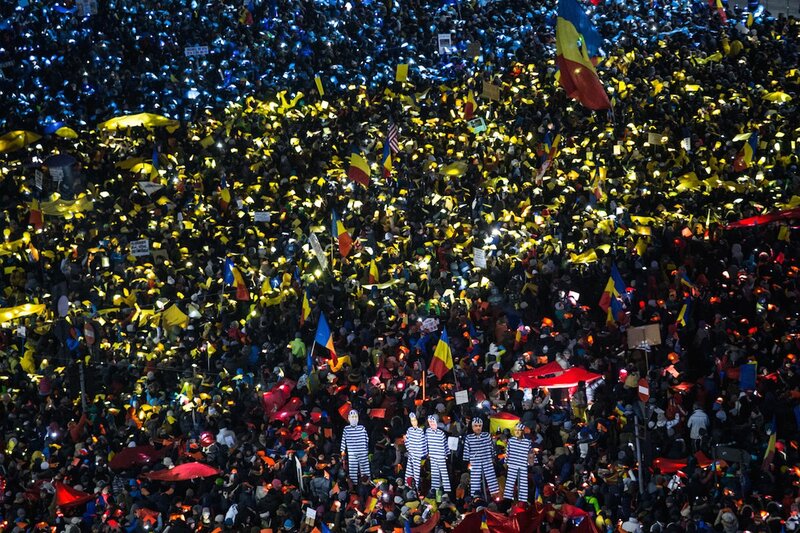 The authorities responded to his performance with “psychiatric” rather than “cultural” means, not solely to downplay its significance but also because Romania is not used to one sacrificing their comfort in order to fight power. To do that, after all, you would have to be mad. In recent history, psychiatry has been widely used as an instrument against political dissidents. Mandatory admissions with the purpose of preventing “antisocial” behaviour were common in the former communist states, notably in Romania, Russia and China. In the Soviet Union, dissidents were frequently considered delusional and treated as such. Political opposition was seen as a psychiatric problem, under the catchall of “psychopathological mechanisms” of dissent, or “sluggish schizophrenia”; it is estimated that about a third of political prisoners in the USSR during the 70s and 80s were admitted to psychiatric hospitals. 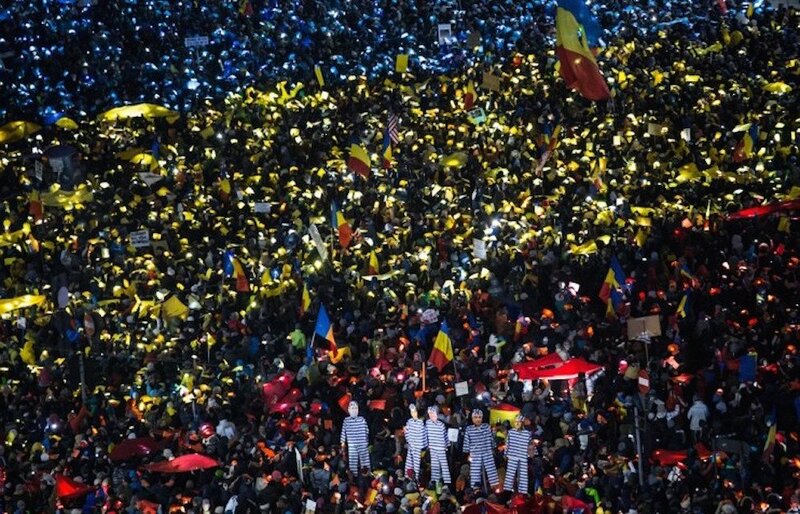 In Romania, admissions functioned as a form of detention, meant to keep regime opponents out of public sight in the short term. A notable example saw about 600 dissidents locked in psychiatric hospitals before the Inter-University Sports Olympiad in 1982 sports event. 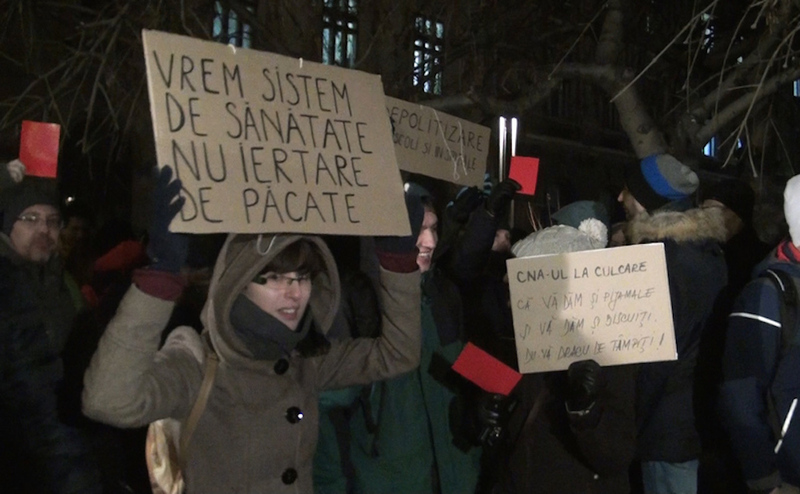 Abuse of psychiatry on a systemic scale halted once the communist regime fell, but in countries like Romania rehabilitation and compensation did not scale up, maintaining the possibility of further psychiatric abuse, as a report from the British Medical Association noted in the early 1990s. 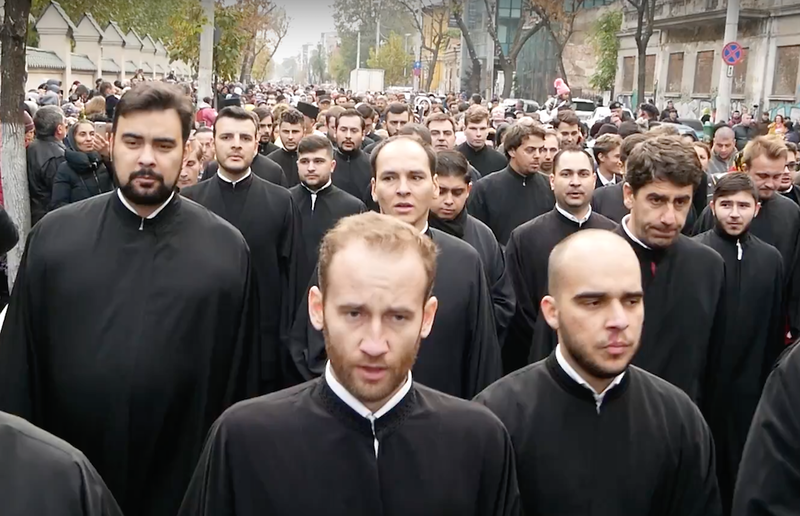 Solomon’s performance occurred within a tense political context in Romania, a country that has in the last five years seen increased public pressure on the political class and the Orthodox Church. 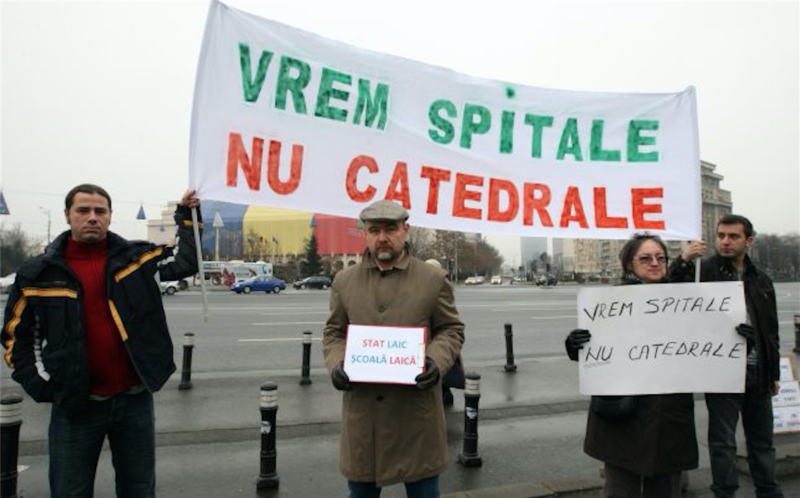 Since 2012, tens of thousands of Romanians have protested on the streets against corruption of public authorities, including the Orthodox Church and its involvement in campaigns against human rights, bearing slogans such as: “We want hospitals, not cathedrals”, ”The church mobster patriot is part of this whole plot” and ”Down with the Orthodox Church”. 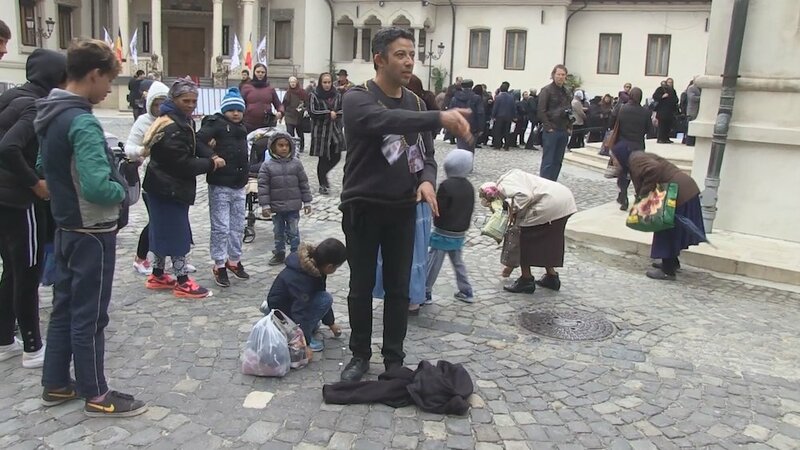 If state authorities are already broadly disconnected from culture, performance art is something even more unusual in Romania, where the term is not even familiar to most mainstream theatre institutions. Audiences, deprived of a framework through which to read performance art, have trouble connecting with these gestures. The policemen that encountered Solomon are also part of this depleted audience. Art and mental health issues may often overlap, and the art world has seen many examples of curatorial exploitations of people with mental health issues, but Solomon’s art was never taken seriously by the authorities that removed, questioned and pre-diagnosed him: it was never seen as art at all. The online reaction split into two categories: those congratulating him and those considering his acts a sign of madness. While people were fighting to establish whether he is sane or mad, the discussion about the significance and the political impact of his action disappeared into the background. In a nation imbued for almost half a century with the constant fear of surveillance, and nowadays regularly flooded with conspiracy theories, reading political performance art as madness is a natural reaction. From “threatening” to ”suicidal”, Solomon went through a mechanism of sanitary sentencing operated by those engaging with his proposed performance from a psychiatric paradigm. This act — the interaction between art and power — became a performance in its own right. 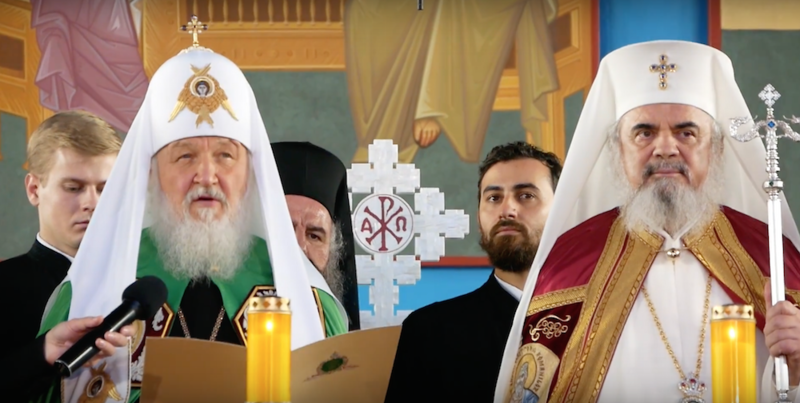 Kirill and the protest against him were the background for an art that not only opposed state-sponsored religious tycoons but went against entire the idea that art requires “approval”. In this case, the censorship was abrupt and obvious, but in many other cases and countries “censorship” is more oblique, coming in the form of funding-cuts or lack of audience. The public, after all, is targeted by both political artists and those in power alike. In the absence of an appropriate cultural vocabulary, the public is faithful to power the label “abnormal” — or even “mad” — is applied to all sorts of actions; even those, paradoxically, intended to emancipate.